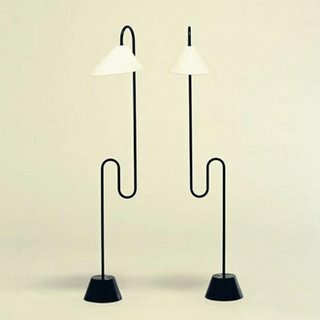 Floorlamp. S-shaped steel tubing in black. A pivot enables various positions of the lampshade. Base in steel, lacquered in black.